MOSCOW, July 26. /TASS/. 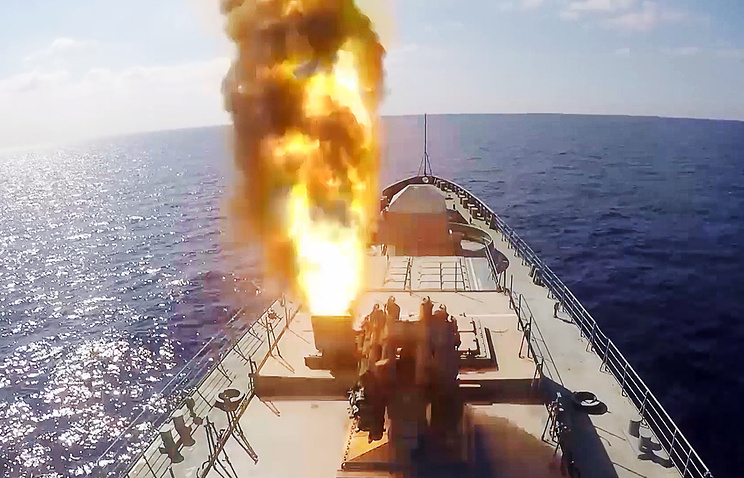 Russia’s Navy received 60 cruise missiles Kalibr and 42 torpedoes from the manufacturers over the past three months, Deputy Defense Minister Yuri Borisov said on Wednesday. "Two naval aircraft Sukhoi-30SM, more than 60 cruise missiles Kalibr and 42 torpedoes were provided for the Navy," he said. Also, he recalled that the flag-hoisting ceremony took place on The Sovershenny corvette of project 20380 on July 20. 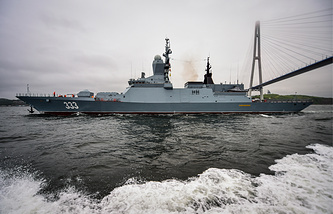 The ship built at the Amur shipyards was handed over to the Navy. "On the acceptance list there are also three submarines, which have undergone repairs in docks, two raider boats, a pier of project 15163 and a large antisabotage boat," Borisov said. He recalled that on June 26 the nuclear powered submarine Yuri Dolgoruky of project 955 carried out a submerged launch of a ballistic missile Bulava to hit a target at the Kura proving ground in the Kamchatka Peninsula.